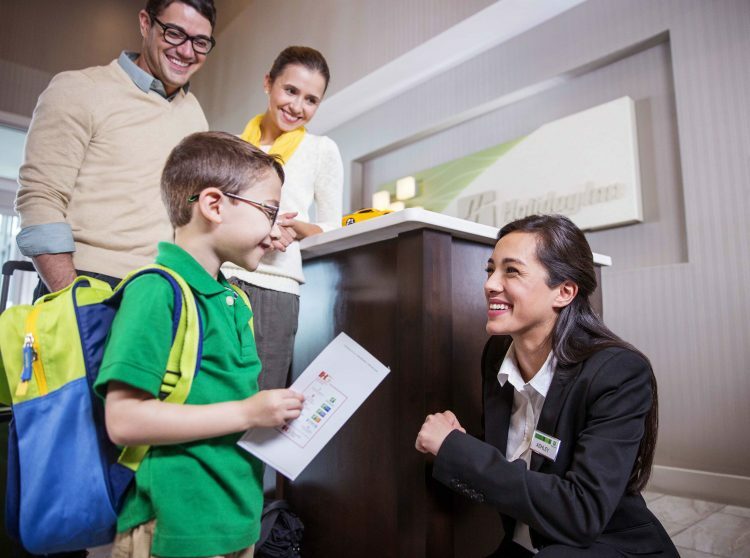 Holiday Inn & Suites Jakarta Gajah Mada launched a family stay package titled “Family Getaway” to answer the needs of guests of families who want to have a vacation in Jakarta. Located in a very strategic location and surrounded by various historical tourist attractions in Jakarta, Holiday Inn & Suites Jakarta Gajah Mada is in great demand for tourists visiting Jakarta. All Gajah Mada Holiday Inn & Suites Jakarta can visit various places of Chinatown and the Old City just on foot. In addition, the hotel is located right in front of the TransJakarta Glodok bus stop, so guests can also take various places in Jakarta very easily. The Family Getaway package is included with all the holiday needs the family wants. A very appropriate way to explore the city of Jakarta with educational tours in it. Not only provides the accommodation for two adults and two children, the Holiday Inn & Suites Jakarta Gajah Mada also provides additional facilities such as a breakfast buffet for two adults and two children, a professional personal tour guide to explore Chinatown or the Old city, free kid meals during stay, faster check-in and longer check-out time. FAMILY GETAWAY can be booked with a minimum of two nights stay and is valid for the period up to March 2020. The tour package is also included with transportation and local snacks that can be sampled during the trip. For exploring Chinatown, guests can visit various centres of Chinese ethnic acculturation in Jakarta by visiting various historical places including: Dharma Bhakti Temple which is the oldest monastery in Jakarta which is also the centre for various Chinese descent events, Church of Santa Maria de Fatima, Toasebio Temple, Petak Sembilan Market, and the very famous Pancoran Tea House. These destinations are near from hotel. For the history-lover guests, they can choose to explore the Old City by visiting Sunda Kelapa Harbor, Bandar Shah Tower, VOC Shipyard, Kota Intan Bridge and Fatahillah Park. 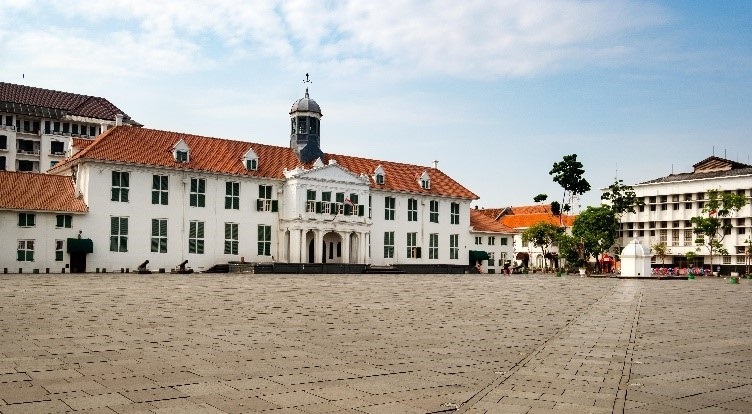 The guest will be educated on the history of the Dutch colonial era, enjoy the sights of the Old City of Jakarta with European-style architecture, and visit the cultural centre in Jakarta and a various of famous museums. “We want to offer a complete holiday-stay for families in Jakarta with special offers as well as educational facilities for children. 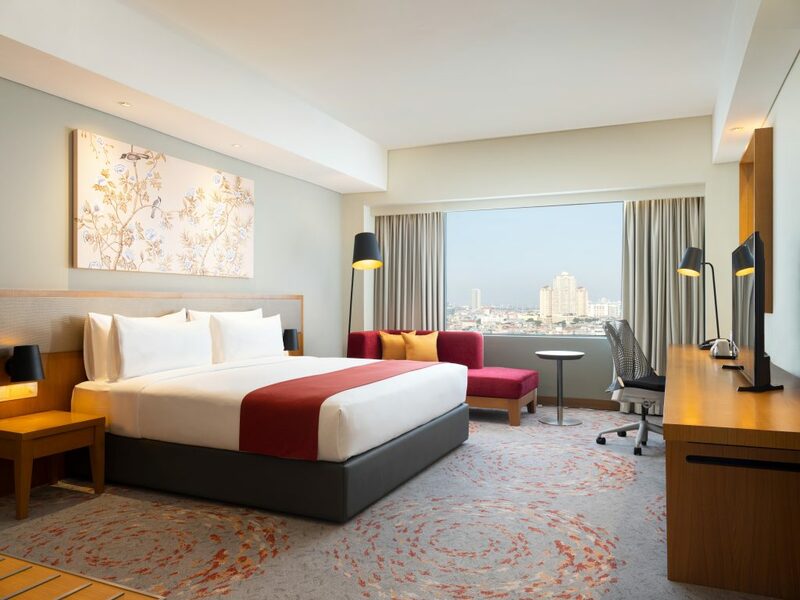 We also want to promote Jakarta tourism, which is located not far from the hotel, so that family guests not only spend time and enjoy hotel facilities, but families can also have a memorable moments,” said Priskilla Wanda, Marketing Communication Manager Holiday Inn & Suites Jakarta Gajah Mada. For reservation and book this package, click our website www.holidayinn.com/gajah-mada by selecting the check in and check out dates for two nights and selecting “FAMILY GETAWAY”.